A week after the National Oceanographic and Atmospheric Administration’s (NOAA) latest meteorological satellite went online ,the European Space Agency (ESA) has successfully launched and put into orbit its’ SmallGEO platform after blasting off from Kourou, French Guiana. The satellite will now use its own thrusters in order to reach its geostationary orbit, over 36,000 miles above the equator. The SmallGEO platform is the first of its kind to reach space, with aboard it the Hispasat 36W-1 satellite, which is expected to bolster Europe’s telecommunications network. Designed and manufactured by OHB Systems, the platform boasts a more flexible design capable of accommodating larger payloads than its predecessors. A successful launch of the first SmallGEO platform has made the CEO of OHB very happy, as he explained to Phys.org. edit: original article link from Phys.org is no longer existent. Meanwhile, Carlos Espinós Gómez, Hispasat’s CEO was also very satisfied with the result of the ESA’s launch, and described how the new telecom satellite is expected to perform once it becomes fully operational. The Hispasat 36W-1 will be tasked with providing broadband services not only to Europe but also to South America, whilst its’ SmallGEO platform will be under scrutiny, with the ESA and OHB hoping to launch several more platforms in the near future. 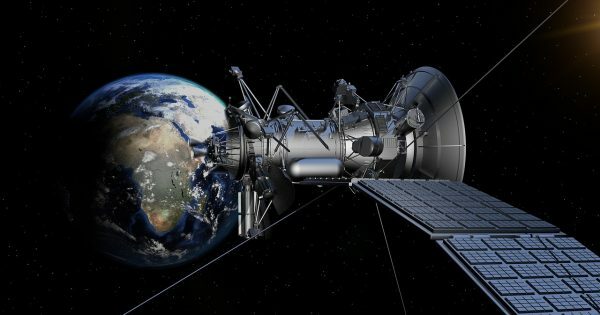 As the ESA’s Director of Telecommunications and Integrated Application Magali Vaissiere hinted at, the next satellite based on SmallGEO will be the European Data Relay System’s EDRS-C, which will help further upgrade Europe’s telecommuncations network. Can Chatbots Bring You Back To Life After Death?